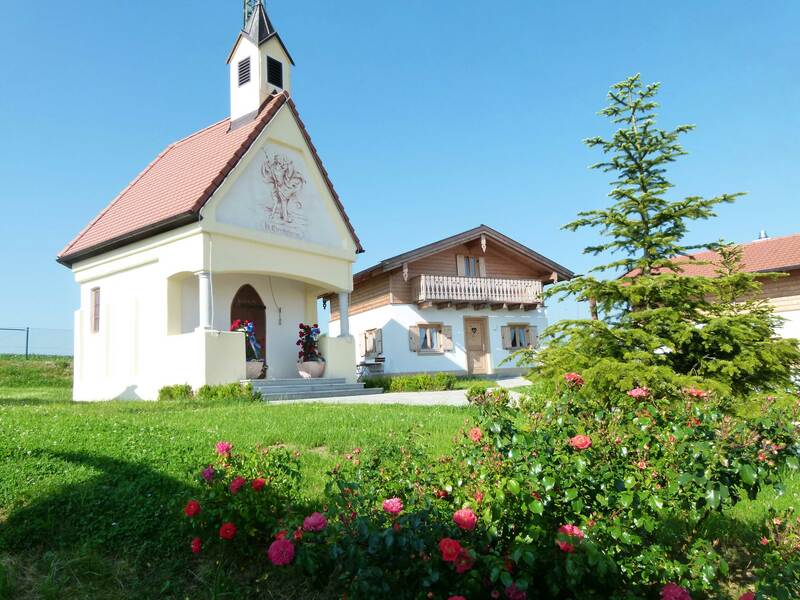 In the panoramic holiday village “Rottal Höhe” with its own chapel there are 14 cottages to choose from. The approximately 50 square meters large houses are cozy-modern with lovely Bavarian touch furnished with fully equipped kitchen, dining and living area with flat screen TV and Swedish stove, shower / WC and two separate bedrooms upstairs and can accommodate up to four people. Picturesquely group the “Häusl” around the chapel dedicated to Christophorus, the patron saint of travelers. The church invites vacationers to reflect, as well as worship services.